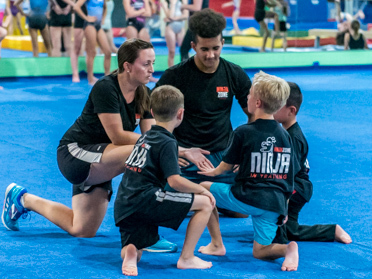 NinjaZone classes are here, and you're going to love them! 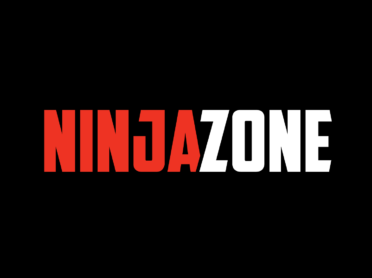 Perpetual Motion is excited to offer dedicated NinjaZone training. These cross-discipline programs will provide many safe, fun, and challenging opportunities for growth! No matter what level you’re at, find a class that’s right for you. Host the perfect birthday party with us or join Open Gym. Host the Best Party Ever! 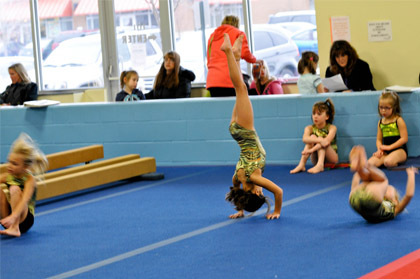 You do not have to be a student in one of our gymnastics classes to come to our open gym. It’s a great way to check out our facility, meet some of the staff, and let your child blow off some steam in a safe, fun, and parent friendly environment. Pro-rated Current Session registration is ongoing. Don’t miss out! The online registration will allow you to register for classes, make payments, see live class listings and track your current schedule! Perpetual Motion was founded in 1991 and has grown into one of the finest children’s gymnastics program in the Nation. The spirit of Perpetual Motion is rooted in a firm belief that fitness ought to be fun. Every aspect of our programs is designed to strike the right balance of positive, supportive teaching in a fun, safe and parent friendly environment. Invest in your little ones with early learning of body movement, balance, coordination – and most of all the mental connection between fitness and fun that will set them on the right track for the rest of their lives. Our Mission is to develop happy, healthy children by providing a fun, safe, and parent friendly environment. By using positive teaching practices we strive to help your child develop a strong sense of self worth. Our ultimate goal is for your children to develop a life long passion for health and sport. Sophia has learned so much with Taylor as her coach! Avery loves gymnastics thanks to you! Online registration is always available! Review current & upcoming schedules to find a class that works for you.